This is an Acorn Style Lug Nut for 1/2 inch studs. Acorn Bulge Lug Nuts are a very common style of lug nut. These Acorn Lug Nuts feature a cone style seat. Many collector vehicles came with 1/2-inch lug nuts, and we keep plenty of these chrome lug nuts in stock. Since chrome lug nuts can lose their shine after repeated use, consider picking up a new set, especially when buying a new set of wheels. Brighten up your rolling stock with a brand new set of these acorn-style chrome lug nuts. 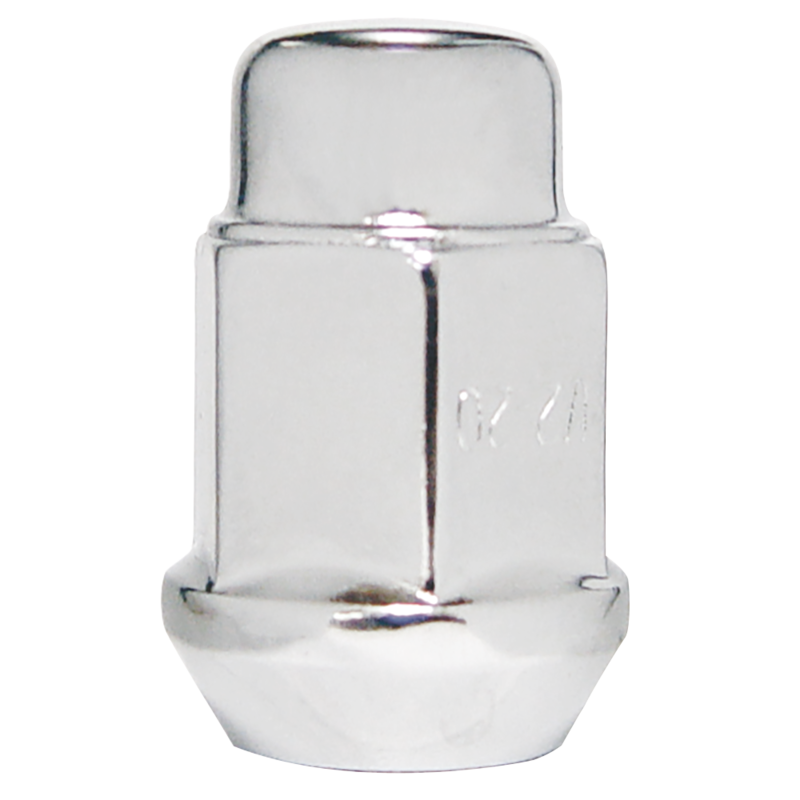 Please note, this 1/2 inch stud Acorn Bulge lug nut uses a 3/4" socket and is Right-hand thread. Lug nuts sold individually and priced Per Each. Speak to a Tire Expert for more information about your antique vehicle’s wheel and tire fitment needs. Accessory Code: DW. What size lug nuts should I order for a stock 1955 Pontiac Cheiftan, do I need LH Nuts also? We do not have specs for lug nut / lug stud diameter on file, but you may measure yourself as they are likely 7/16 inch, or 1/2 inch. For a 1955 model, all should be right hand thread. Hello, Do you have these in a left hand thread? Thanks for reaching out1 Click Here for what we offer in a left hand thread.